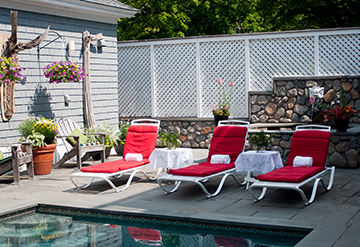 The Inn boasts an in-ground pool and a Grecian style hot tub perfect for enjoying sunny summer days. Comfortable chairs surround the pool offering comfortable spaces to sun and relax. Relax and enjoy our wrap-around porch, cozy front entry, and warm living room. Stretch out in front of a glowing fireplace with a glass of wine or that book you've been wanting to get to. Wake up to the aroma of fresh brewed coffee and home baked pastries. 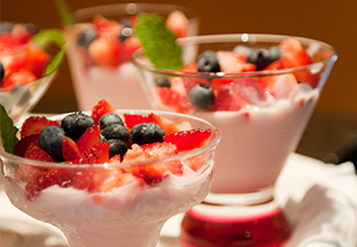 Breakfast is not only delicious but also a social time at the Inn to meet other guest's and plan your day's activities. Not to mention you won't leave hungry. 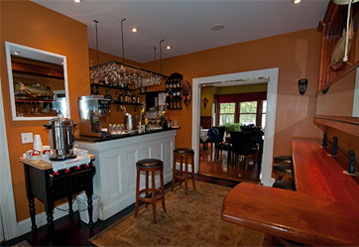 The Lindenwood offers a fully stocked bar for guest's to enjoy. Well known for our honor system, come and make your own drinks just the way you like them. Add to that our all day coffee and tea service all available on your schedule. 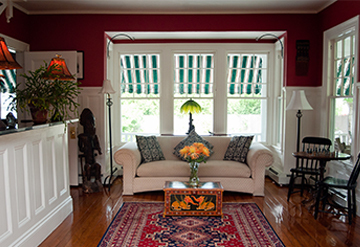 The Lindenwood Inn has fifteen beautifully appointed rooms and suites. Guests know that each room is not only unique but has it's own character. No two rooms are the same like the guests that fill them each year. Relax by checking in to your cozy well-appointed room or suite, complete with private bathroom, bathrobe and Earth-friendly toiletries. Each room has access to free wireless Internet. 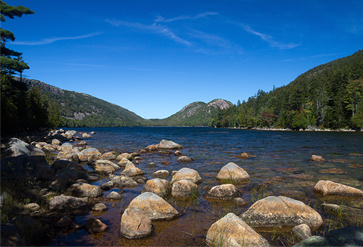 Acadia National Park boasts more than 120 miles of hiking trails on its 46,000 acres of parklands, most of which are located on Mount Desert Island. This incredible network of well-maintained, marked, and signed trails offers a range of pleasant hiking experiences. 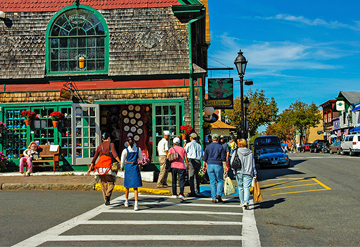 The most well known town on the Island is Bar Harbor. It is steeped in history and is a great place explore for the day. It has become a major cruise ship destination and has lots shops and restaurants and galleries to keep you busy. 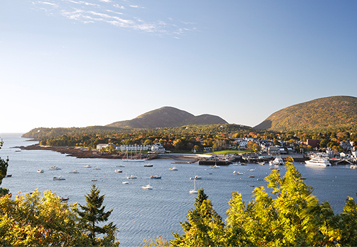 Southwest Harbor is often called "the jewel" or “The quiet Side” of Mt. Desert Island and the Acadia National Park. There are hiking trails in the park that surround this small village; you can virtually be alone to enjoy the magnificent views of the mountains, lakes, and ocean.